This study was carried out by John B. Watson in the early years of Psychology. Watson wanted to demonstrate the scientific status of Psychology and also prove the principles of Behaviourism – the idea that all behaviour, including human behaviour, is learned. Watson intended to show that powerful emotions were not innate to human beings, but were learned responses to experiences. To do this, he proposed to create an intense fear – a phobia – in a human subject, a 9 month old baby boy. It shows how scientific research proceeds, because Watson filmed his study so it could be replicated. Sigmund Freud had already published work on phobias. Freud argued that these irrational fears are really defence mechanisms – they are a disguised version of something else that really upsets us, probably to do without our parents. According to this view, the secrets of phobias are found within a person’s unconscious mind. John B. Watson took a completely different view. He believed the cause of phobias (and other emotions) lay outside the mind, in our environment. He thought that a phobia could be created and then extinguished through the process of Classical Conditioning. Up till this point, research into Classical Conditioning had been carried out on animals. Watson believed the same principles of association and generalisation applied to human behaviour. Notice Watson’s scientific outlook. He tries to study behaviours that can be filmed and measured objectively, rather than delving into the mysterious “unconscious mind”. This is typical of Behaviourist psychology. Also consider the implications of Watson’s ideas. If human beings are simply animals (as the Theory of Evolution tells us) then we will learn like other animals. Our behaviour is not an expression of a “soul”. (1) before-conditioning compared to after-conditioning; (2) being presented with the white rat compared to being presented with other white, fluffy animals or objects. This is a Repeated Measures design, since (1) studies Baby Albert before and after his conditioning, and also since (2) studies Albert with the rat and with other stimuli. Albert experiences every condition. The number of fearful behaviours Albert shows when presented with the stimuli. One baby boy, Albert B, aged 9 months at the start of the study and 11 months when the conditioning began. Albert’s mother was a wet nurse at the hospital and Albert was chosen because he seemed healthy and quite fearless (he “practically never cried” according to Watson). Albert's mother was paid $1 for participating. This was an opportunity sample. At 9 months, Albert was tested with a white rat, a rabbit, cotton wool and other stimuli to see if he had a fear reaction. He didn’t; this shows these were Neutral Stimuli (NS). The researchers also checked his fear response by banging an iron bar. Albert cried at the loud noise; this shows the noise was an Unconditioned Stimulus (UCS) and the crying was an Unconditioned Response (UCR). At 11 months, Albert was conditioned. He was shown the white rat three times. Each time the rat was paired with striking the iron bar. Albert started to whimper. A week later, Albert was conditioned again. The rat was presented 3 times, paired with the noise. When the rat was later presented alone, Albert whimpered. The rat was paired with the noise again 2 more times. When the rat was presented alone another time, Albert cried. 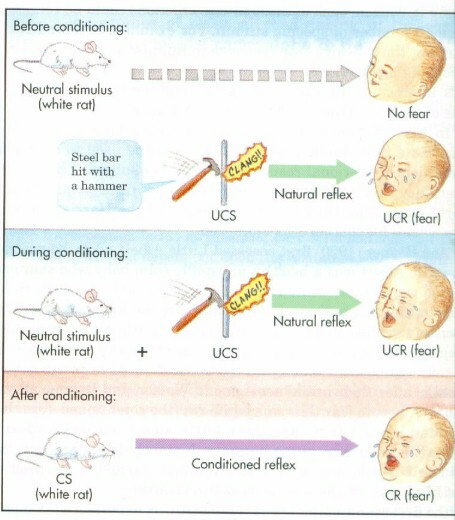 This suggests that the NS is now a Conditioned Stimulus (CS) and Albert’s crying is a Conditioned Response (CR). Over the next 10 days, Watson & Rayner tested Albert’s reaction to the rat and to other white, furry animals and objects like a rabbit, a dog and Watson wearing a Santa mask. Albert showed fear responses to the rat like whimpering and crawling away; he showed similar reactions to the rabbit (cried) and Santa mask and a lesser reaction to the dog (crawled away, cried when it approached). This is generalisation of response. Watson & Rayner also moved Albert to a lecture theatre with 4 other people. Albert’s reactions to the rat and the rabbit were the same. This is transferral of response to other settings. They tested Albert again a month later and found the same reactions, though slightly weaker. Watson & Rayner intended to use Classical Conditioning to remove the conditioned responses from Albert, but his mother moved away and took Albert with her so the experiment ended. Watson & Rayner concluded that they had successfully conditioned Albert to fear the white rat and that his fear response generalised to other white, furry things (with a stronger response the more closely they resembled the rat) and transferred to other situations. The conditioning lasted over a month and Watson proposed that the conditioned fear responses Albert was left with would last a lifetime. It seems that a conditioned emotional response can occur in a human after only a few pairings of the stimuli. WHATEVER HAPPENED TO BABY ALBERT? Albert’s real identity was discovered by researcher Hall Beck. After a 7 year investigation, Beck revealed Albert's identity in 2009: he was Douglas Meritte and he died at age 6 from water on the brain (hydrocephalus). No one could confirm whether or not he kept his phobia of white rats throughout his short life. Revealing Albert's identity like this might seem to go against the confidentiality that researchers are supposed to give participants. However, Douglas Meritte had been dead for over 80 years when Hall Beck identified him and the identification was done with the help and consent of Douglas Meritte's only living relative, his nephew Gary Irons. WHATEVER HAPPENED TO THE OTHER BABY ALBERT? Baby Albert's story doesn't end there. Some critics are unconvinced by Beck's research. If Douglas Meritte was the baby, why did Watson call him Albert B. and not Douglas M.? 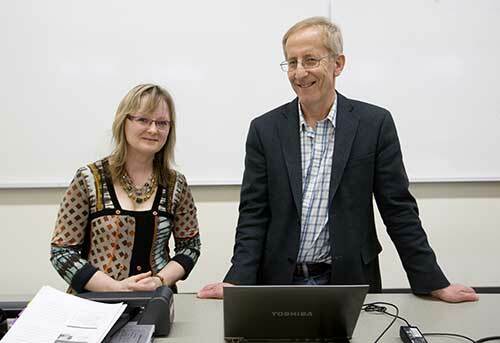 Nancy Digdon & Russel Powell (2014) did their own research and came up with a different baby, born at the same place and time, whom they believe better fits the description of Baby Albert: William Albert Barger, called "Albert" by his family. Albert Barger died in 2007, aged 87 - the researchers just missed the opportunity to find and interview him. However, his niece recalled Albert had a lifelong dislike of small dogs! 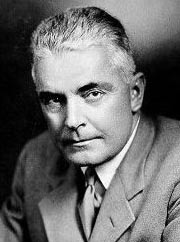 WHATEVER HAPPENED TO JOHN B. WATSON? Watson, a married man, was having an affair with Rosalie Rayner, his graduate student and research partner. His colleagues were shocked and Watson was sacked and never worked again as a psychologist. He did use his knowledge of learned behaviour to get a new job – in advertising! He married Rosalie Rayner. It’s ironic that Watson, who tried to prove that emotion is a learned response, had his life turned upside down by an uncontrollable emotion: love. The experiment was done on a single child - Albert. Usually a sample of one would be considered very unrepresentative, because the baby might be unusual in all sorts of ways. However, this isn’t a case study of an odd individual. Albert was deliberately selected for his normalcy. He seemed fearless and emotionally stable. His reactions would seem to be the normal reactions of any baby to these experiences that are quite commonplace (furry animals! loud noises! ), not a unique personal response to unusual phenomenon. Cosh (2012) points out that if Albert/Douglas Meritte died from hydrocephalus at 6, he was possibly sick even at one year old. In the film, he does seem rather unfocussed. If Albert wasn’t really a normal and healthy child, then the results cannot be generalised to all children. However, if Digdon & Powell (2014) are correct, then Douglas Meritte wasn't Albert; Albert Barger lived a healthy life to a ripe old age and seems to be someone you can generalise from. This is a great example of a reliable study because it has standardised procedures and it was carefully documented (right down to the numbers of days and the time of day) and it was filmed. For ethical reasons, the study hasn’t been replicated, but it could be replicated quite easily. The surviving film of the procedures means we can all view Albert’s responses and see his fear for ourselves. This is inter-rater reliability. The main application of this study has been for other Learning Psychologists, who have built on Watson & Rayner’s research and investigated phobias in greater depth. This has led to techniques like Flooding and Systematic Desensitisation. Flooding involves exposing someone to the feared stimuli, letting them experience panic, but then letting the panic reaction wear off. They learn from this experience that the stimulus is not really harmful. Systematic Desensitisation is a more careful approach, in which the patient gets used to pictures of the feared thing, then photographs, then seeing it at a distance, then close up, before handling it. Another application is for your own habits and reactions. If you have a fear or an irrational dislike, it may be because of conditioning at an early age, when the object of your fear or dislike was once a Neutral Stimulus. If so, it can become a Neutral Stimulus again if you want it to: if our emotional reactions are learned, then they can be un-learned and we don’t have to put up with them. The study has careful controls. For example, Watson hid behind a curtain when striking the iron bar so that Albert would associate the noise with the rat, not with him or the bar or the hammer. He also tested Albert’s reactions before the conditioning, to make sure Albert didn’t have any pre-existing fear of white, furry things. The setting for the experiment lacks ecological validity because Albert was away from his playroom and familiar nurses. This may have made him nervous. However, he didn’t seem nervous and he was with his mother the whole time. Watson's conclusions are in line with what would be predicted by Classical Conditioning. When a study fits with a well-established theory, it has construct validity. The study is clearly unethical. Watson & Rayner deliberately caused distress to an infant and continued even though he was upset. They didn’t extinguish his fear reaction, possibly leaving Albert with long term phobias. This is ignoring the principle of reducing harm. However, Watson & Rayner chose Albert because he wasn’t easily frightened. An important definition of harm is that it should not be greater than what the participant would experience in their "normal lifestyle". Watson & Rayner argued that Albert would go onto have have distressing experiences when he started nursery and there was nothing excessive or unusual about what they had put the child through. After a month, his conditioned fear response had dropped, so it’s possible the effects of the conditioning would completely wear off in time. Moreover, Albert's mother gave consent and was present the whole time, so this was clearly valid presumptive consent. She was able to withdraw Albert and did in fact do so (though not for ethical reason: she merely moved to another job). Watson & Rayner wanted to show that Classical Conditioning would work on a human. They conditioned Baby Albert to be frightened of a white rat. This was a lab experiment where the IV was the conditioned stimulus and the DV was Baby Albert’s emotional reactions, which were filmed. Baby Albert was 11 months old when the study started and it lasted a month. Albert was presented with a white rat which became a CS when it was paired with a loud ringing noise (the UCS). When Albert cried at the rat, this was the CR. Watson & Rayner found that Albert generalised his fear to other white, fluffy things like a rabbit and Watson’s Santa mask. He had the same reactions a month later, although they were a bit less intense. Watson & Rayner’s experiment was very reliable. It had standardised procedures and the film that was taken would make it very easy to replicate. However, no one would replicate it because it was unethical. Watson & Rayner caused distress to Baby Albert. They conditioned him to have a phobia then left him with this rather than removing the conditioning. It might not be unethical if Baby Albert recovered from his phobia naturally. His reactions were less intense after a month so this might have happened. Watson & Rayner chose Albert because he was “stolid and unemotional” and they didn’t think they were doing anything to him more frightening than what would happen to him at nursery anyway. Watson & Rayner’s study probably needs to be repeated because it turned out Albert died from hydrocephalus when he was 6. Albert might have been unwell at the time of the study, which would add to his distress and make him unrepresentative. Notice that for a 8-mark answer you don’t have to include everything Watson & Rayner did. I haven’t mentioned the different settings or the tie between each test or the fact that the bell-striking happened behind a curtain. For evaluation, I mostly discuss ethics and leave out the other things. I haven’t described Watson & Rayner’s conclusions. But I have tried to make the two halves – Description and Evaluation – evenly balanced.